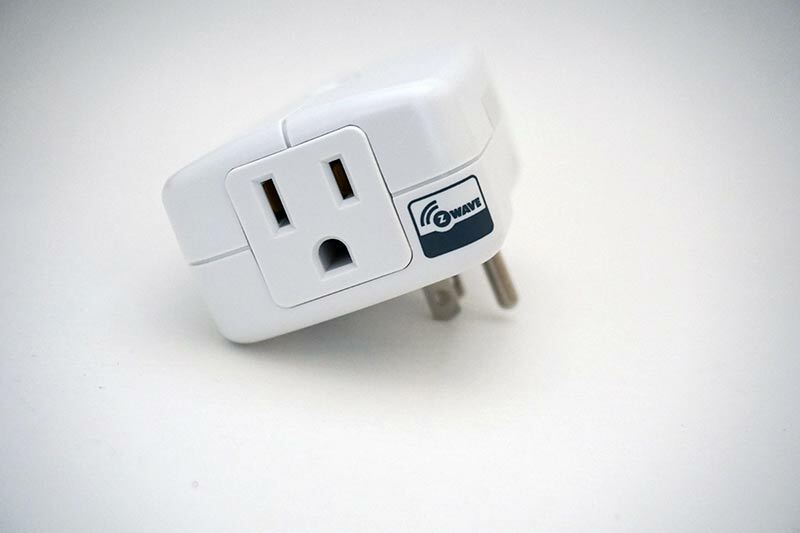 Today we’re going to take a look at the GE Z-Wave Plugin Smart Switch module for small appliances, lights, and other devices which you may want to automate. One of the best things about the plug-in style smart switches is how fast they are to get up and running. There are no wires to run, no electrical boxes to dig in and they just simply work right out of the box and the GE Plugin Smart Switch is no exception to this. You can use these Z-Wave modules to automate lighting scenes, turn and off your Christmas lights instead of crawling under the tree looking for the plug, and even flip on a table top fan when the temperature in your home gets warmer than you’d like. The possibilities are truly endless when you begin to network multiple devices with Z-Wave technology. We’ll look at the features of the GE Plug-in Smart Switch module, see what’s included and how to get it configured and running. I’ll also show you a few different ways that you can use a smart switch to make your life easier while also saving electricity at the same time. Read on to the next page and we’ll unbox the GE Plug-In Smart Switch module!